Match the beads to break the spell. Is there a better alternative to Rainbow Web? Is Rainbow Web really the best app in Puzzle category? Will Rainbow Web work good on macOS 10.13.4? 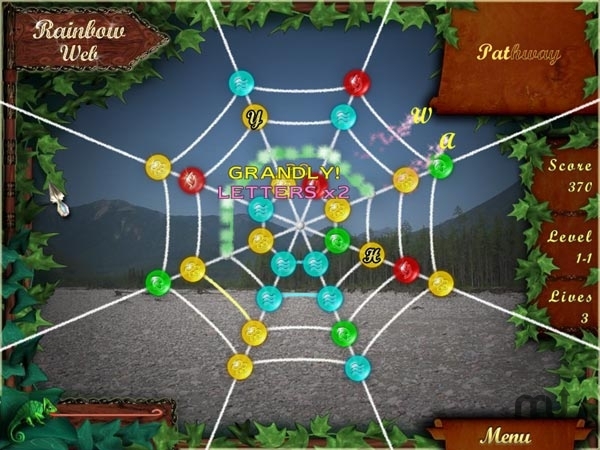 Rainbow Web... Swap neighboring beads to make a line of 3 or more matching beads. Collect all letters from the Web to make up a magic phrase and break the spell. This lets you continue your adventure. Rainbow Web needs a rating. Be the first to rate this app and get the discussion started!